I very much expected to come across cars I wasn’t familiar with while I was in Asia. And the Toyota Wish was one of them. They are all over the place in Taipei, especially in the form of taxicabs and Ubers. Indeed, I had never heard of a Wish before, so when we summoned one as an Uber XL, I looked at it skeptically when it pulled up to the curb. This was supposed to take all six of us to the National Palace Museum? But it totally did. The driver hopped out, popped open the trunk and unfolded an additional two other seats from the floor. And these weren’t those little jump seats you’d find in a station wagon, either. They were (relatively) full-sized seats with headrests and everything. Legroom wasn’t the greatest, but it worked out in a pinch. I sat with my mom in the third row, delightfully astonished. A few days later, while headed to the airport, we needed a cab for four adults and five large suitcases (I know, we don’t pack lightly). Another Toyota Wish was summoned, and its cavernous trunk swallowed the luggage easily. The driver could even stand the suitcases upright, that’s how tall the trunk was. I was amazed. In the U.S., if you needed to transport six people, you’d have to order a minivan or an SUV. And if you had as much luggage as we did, a simple sedan would not have cut it. I know because they had to bungee-cord the trunk in place in Hong Kong. The rear-sloping roof design, though attractive, is wildly inconvenient because it allows for nearly zero storage room. Jason Torchinsky’s Tesla Model Y rendering also addresses this. All of this fit gracefully into a Wish. So what do we have here instead? Hatchbacks, wagons, crossovers and SUVs. But the Wish fits more people and things comfortably than a wagon or hatchback and it’s smaller than a crossover or SUV. How would you even classify this vehicle? It’s too tall for a wagon, too long for a hatchback and not big enough for a crossover or SUV. It certainly doesn’t have the ground clearance. It’s a mystery category. Regardless, it is the perfect solution for those braying about “storage space” and then shopping for a big car they don’t need. The Wish doesn’t feel massive while navigating city streets, either. It is a thing of function, with a clean, unfussy design and wheels that aren’t unnecessarily huge. Now, the only thing the Wish isn’t is sporty. It came with either a 1.8-liter or 2.0-liter engine that doesn’t produce much grunt, but that’s not what the Wish is about. It’s a no-frills people- and stuff-mover, and it does that job beautifully. 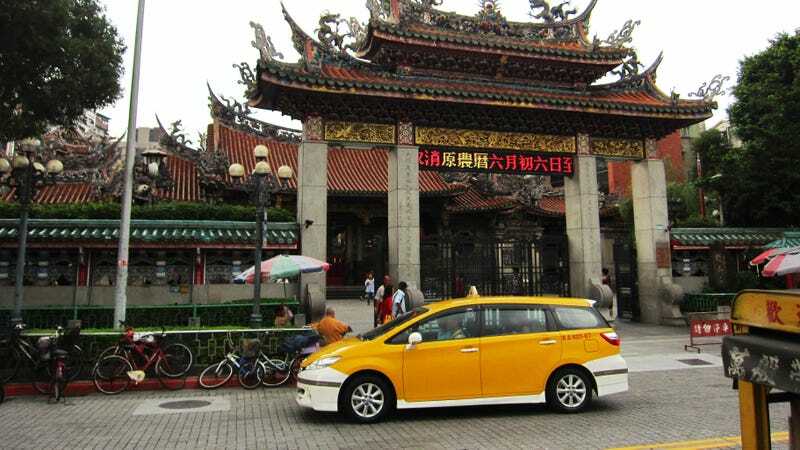 Sadly, the Wish was discontinued in 2016 and was replaced in Taiwan by the Sienta, a car that sports far too much design on its face and simultaneously far too little design on its sides. Anyway, the Wish is good and everyone ought to have one.